I’m no stranger to taverns, and if I lived in the days of colonial America, it’s a safe bet I’d be found in one of the colonial inns that still dot the east coast. In fact, you still can when I have a chance. 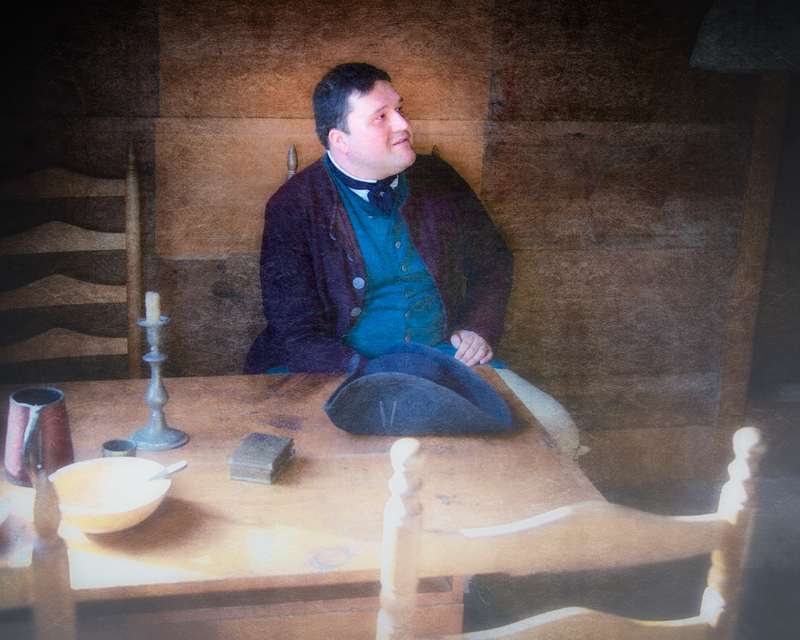 In the century or so leading up to the Revolution, colonial taverns and inns were an essential part of the community. Horses need frequent rests, and travel by coach and horseback were far from comfortable. In Massachusetts on the roads leading to Boston, taverns and inns were spaced about every eight miles, which worked out to a reasonable journey in the winter cold before a person needed to warm up, inside and out. In the cities and some rural areas, taverns were much more plentiful, sometimes scandalously so. The difference between a colonial era tavern and an inn is that the inn offered accommodation, the tavern only food and drink. In the earliest days of the colonies, the term was Ordinary, which stuck around longer in the south. By the end of the 17th century, the word tavern was displacing ordinary along the eastern seaboard. In the beginning, the Puritans of New England tried their best to regulate taverns and people’s behavior inside them, a practice common throughout the colonies. County officials supervised their operation, and recognizing the vital role they played in society, even seeking out suitable innkeepers. A common practice was to offer licenses to widows, in part to keep them off the county dole, as a woman in those days without means nor husband often relied on social welfare to survive. Drunkenness was discouraged, and both the inebriant and tavern keeper could be prosecuted. What liquors and what food could be served was decreed by county or city regulation, and getting hammered on Sundays was strongly discouraged. But the community’s insistence on having a colonial era tavern close by churches made monitoring that doubly difficult. It was common practice to spend all day Sundays in church, with a break around noon for lunch and to warm up, as in winter, churches were seldom heated. Perhaps in nicer weather, the church picnic so often depicted as the staple of community life might have taken place. But in winter or rain, you could likely find much of the congregation in the tavern. The colonial era taverns and inns were also the only restaurants around in rural areas. Stagecoach fare often included lunch, which was provided at the inns. Taverns and inns also provided a place to relax when journeys were delayed. Food ranged from quite good and varied to horrid and no variety. Breakfast was a big meal – eggs, fish, steak, sausages, bacon, bread, coffee and of course, tea. Lunch followed around two or three in the afternoon, and dinner or supper was served around seven. Menus concentrated on hearty fare, particularly at breakfast and dinner. Chicken was good as chickens were plentiful, in part due to the quick time from hatching to lobbing off their heads and serving. Pork was common as well, in part as it was easy to preserve and one could store it for some time. Potted meats were a popular item. Potting, for those of you not in the know, requires boiling or baking a chunk of meat till tender, than pounding it into a paste with a wooden hammer, mixing in spices and fat. The resulting paste was then stored in earthenware jars, sealed with melted butter or fat poured on top. The term for potting fish was caveaching, This required frying the fish in oil, pickled in vinegar and sealed with a layer of oil. Both meats and fish could be stored for quite a while, particularly in cooler weather, than spread on bread for sandwiches. Sandwiches in fact, were America’s first fast food, easy to take along on journeys and you could eat them in a coach. The taverns also gave us our current cup and spoon measuring system. Europeans favored scales, but Americans, even then, always eager to get back to work and therefore in a hurry, demanded faster service. So the innkeepers resorted to measuring with cups and spoons, which was much quicker than scales. Mincemeat pies, which are quite similar were in fact the fast food of the middle ages. Wrapped in dough, they were cooked then stored, and could be reheated when needed. Among the upper crust of society, the crust wasn’t eaten. But the poor couldn’t afford to be choosy. And of course there were puddings, always a favorite among Brits all around the empire. In the colonies, it was difficult to grow wheat and oats, so the grain of choice was corn, which it turns out makes a tasty pudding. Puddings were filling and quick to cook, hence the reference to “hasty pudding” in the song, Yankee Doodle. Corn meal also made up the essential ingredient to johnny cake, a bread similar to a pancake, which could be eaten hot or taken with you on your journey. With each meal you got alcohol. A colonial era tavern’s reputation could rise and fall on the quality of its ale. Ales were usually locally brewed, often by the innkeeper himself. Hard cider was also extremely popular. The dirty little secret we’re not told in school about Johnny Appleseed was that he wasn’t planting apple trees to have apples to eat, but for cider to drink. Which had as much to do with practicality as inebriation. You couldn’t keep an apple crop through the winter, but you could keep a barrel of cider. Also, cider could be transported long distances and sold, so it was a commercial enterprise as well. Hard liquor was common as well among the English colonists, though Germans preferred beer and had somewhat less drunkenness than the Brits. Rum was cheap and a perennial favorite. The typical colonist in 1770 slurped down almost four gallons of hard liquor each year. Water was often foul, infected and generally suspect, so they chased all the hard liquor with gallons of beer, cider and wine. One might wonder why the typical colonist wasn’t an obese drunkard, but you have to consider the hard lives they led, and the amount of calories burned off in a day. A typical colonist might take in 6,000 calories in alcoholic beverages alone daily, but obesity was fairly rare, which gives you an idea of the number of calories they must have been burning off. Today, the generally accepted caloric intake is put around 2,000. The hard stuff was typically purchased from distillers, as the only hard liquor made on the premises was applejack, made by letting hard cider freeze, which then separated into ice and whiskey. But the main reason for the importance of the colonial era tavern was as a social hub. Issues of the day were discussed and hammered out here, in fact, often in official settings. The City Tavern in Philadelphia, was the site of the first continental congress. The Virginia legislature met in the taverns of Williamsburg. And the initial investigations of the Salem Witch trials were supposed to be held at Ingersoll’s ordinary, though it was in the end was too small for the crowds. To the common man, the tavern was where you learned the current prices for your cash crops. It was where you could find a newspaper, often read aloud for those who couldn’t read. It’s where local issues were debated and local governments met. 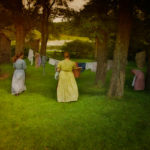 The colonial era tavern was the link to the outer world for those in rural areas, and a place where you could meet your neighbors for conversation, games and diversion. Entertainment included gambling; on horse racing, cockfights as well as cards. Actually the colonists were known to gamble on almost anything, including guessing the weight of pigs, a practice eventually outlawed on Long Island as it led to too many fights. The tavern also served as courthouse, where you learned of new business opportunities and worked out trades with your neighbors. The tavern also served as post office. Originally the practice was to put your posts on a table, which travelers would then take along the route with them. It was commonly accepted that the travelers had the right to read your mail, providing a bit of entertainment along the way. Mail arrived in the community in the same way that it left, eventually becoming more organized and efficient. In addition, recruitment and deployment of the militia took place in the taverns. Prior to the battle of Lexington, the militia organized and fortified themselves at Buckman’s tavern, before marching out onto the Lexington Green and into the history books. Inns provided a place to stay as well as eat and drink, though typically accommodations were concerned with quantity and not quality. Only the very rich could afford a private room, even if one was available, and it wasn’t uncommon to share a bed with another man whom you didn’t know. You could also expect to pay more for clean linens than dirty. In the backwoods, you might very well find yourself sleeping on the floor, accompanied by rats and mice. But there were also finer establishments as well. Oysters, veal, beef and finer food was served, rooms had fireplaces in winter, and if you were concerned about the sheets, as gentlemen often were, you could bring your own. At one time, almost three-quarters of the taverns and inns in New England were ran by women. Women however weren’t allowed to drink with the men, or even be in the bar area in most cases. The nicer taverns and inns had special parlors for women, but for the most part, colonial era taverns were for men. In fact, taverns were often partitioned into rooms for eating versus rooms for drinking. Some ingenious rolling doors still exist which allowed the bar to be blocked off when courts were in session, or when men were transacting civil business. White men I might add, as black and indians weren’t allowed in most cases to drink or eat in the public areas. Of course there were exceptions, and in some you’d find yourself in the exceptional situation of socializing with people of all walks of life. Alexander Hamilton was a fan of public houses for this very reason. The common citizen of the colonial era was typically uneducated, both in the niceties of civilized life and in politics. As such, there was certainly an aristocracy in the colonies, even if it was only recognized by those who were members of it. Eventually the American colonists tired of aristocracies, and threw off that system of governance and created a new one. And the idea for that no doubt, was first discussed in tavern over drinks. this didn’t help me with my project for school. This article helped me prepare my tavern for my colonial fair!! thanks! Short and precise. A good article expressing the differences between a Tavern and an Inn. Quite helpful! Thanks! your website was very helpful with my college paper! Thank you! Your first sentence has been written it incorrectly. You should say stranger compared to strangers. HUGE research help for book #2 in my *A Kesk8a Story* series about the [Nova Scotia] Acadians! Beyond happy that I found your link. My 6-book series will run from ~1680-1755. A little over half way through story #2, “we” have just arrived by ship at Boston Harbor (ca. 1694). What’s been going on at The Blind Pig (I’ll be making it an inn now rather than a tavern 🙂 ) is a focal point for the whole story. “We” are not tourists, though, this book is an action-adventure. Extremely pleased to know that women often ran the taverns and inns as this solves *exactly* why a particular female character is still there and is doing what she’s doing . Perfect. Delighted! Thank you! Thank you! Would like to know more about what it was like to spend the night in an early American inn. How many to a room, bedding, bathing accommodations, privacy, cost, quality of service(s). Thank you. I had my share of those. Keep trying and if you have questions, feel free to ask. One quick hint though, punctuation and capitalization counts! [WORDPRESS HASHCASH] The comment’s server IP (208.80.4.104) doesn’t match the comment’s URL host IP (74.114.89.86) and so is spam.